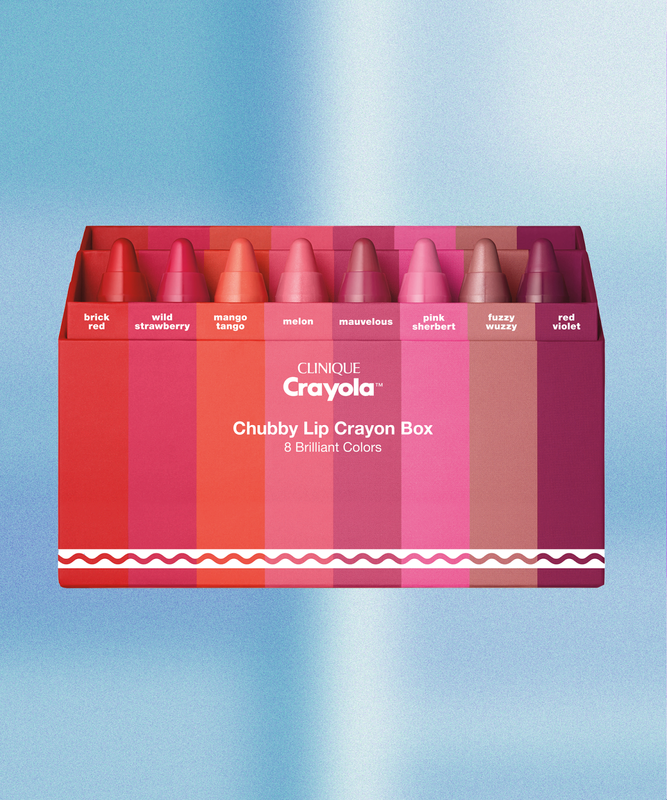 Today I found out that Clinique has partnered with Crayola to make a lipstick called Chubby Sticks. 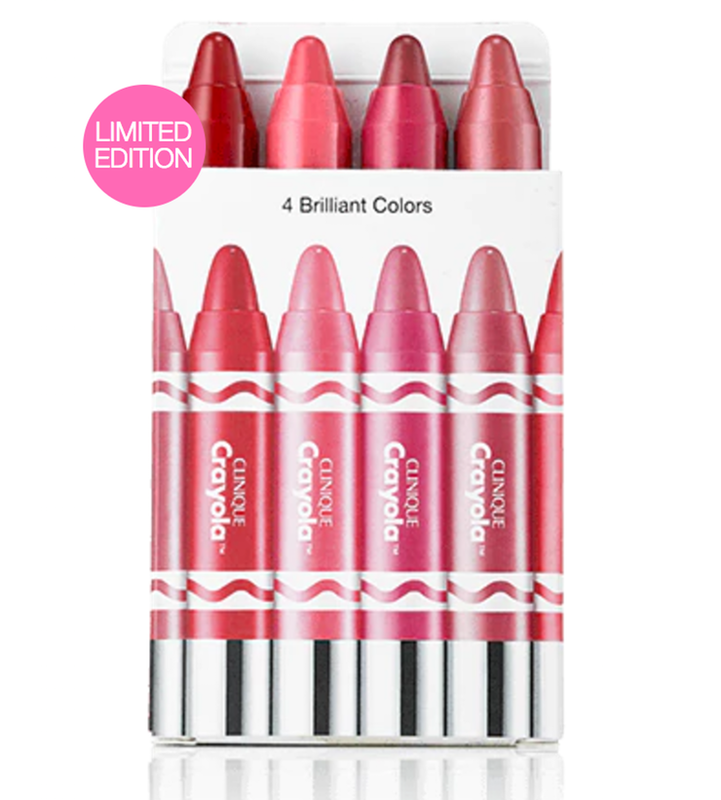 I have always said that Crayola needs to make lipstick. 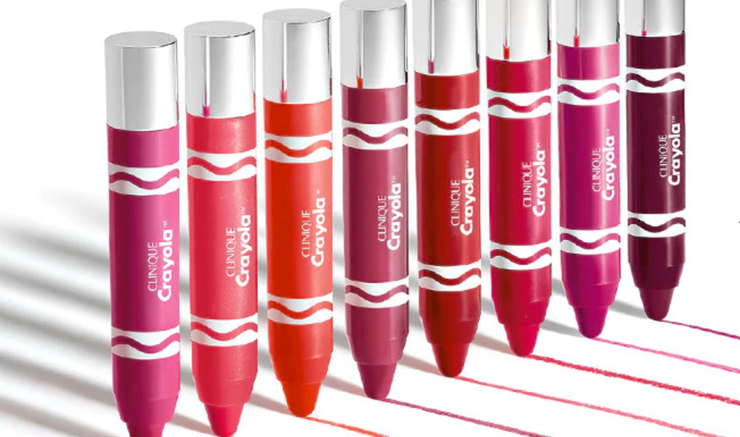 People have been trying to make Crayola crayons into lipstick for years. They have a chapsick, but no lipstick until now. Some of Crayola's crayons, like the Slick Stix remind me of lipstick. And Clinique just so happens to be my favorite makeup brand. It is a match made in heaven. Janet Pardo was the developer from Clinique that developed the Chubby Sticks. All the colors of lipstick besides Tickle Me Pink were existing Clinique colors. I wonder how close the lipstick colors match the crayon colors. They came out with four different sets of chubby stick lipsticks. Now to get my hands on these! They are limited edition and only available until February. The first set has 8 mini lipsticks with color names Brick Red, Wild Strawberry, Mango Tango, Melon, Mauvelous, Pink Sherbet, Fuzzy Wuzzy, and Red Violet with a cost of $49.50 and comes in a box. The Sticks are 0.04 oz or 1.2 g.
The second set has 4 mini lipsticks, that come in a box. The colors are unknown. The third set is the Chubby Sticks sold individually for $17. The colors are: Wild Strawberry, Mango Tango, Melon, Mauvelous, Pink Sherbet, Fuzzy Wuzzy, Razzmatazz, Tickle Me Pink. The last set is Chubby Stick Intense Moisturizing Lip Colour Balm that comes in Red Violet, Brick Red and Fuzzy Wuzzy.